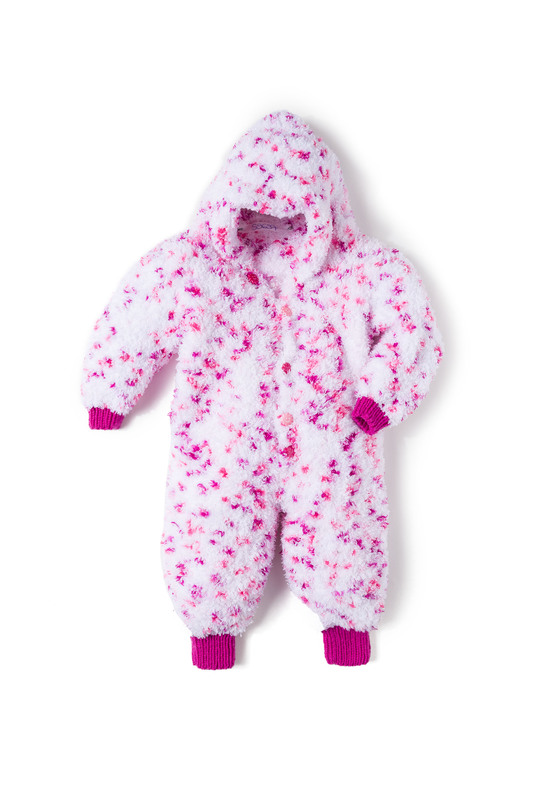 Knit a super snuggly and soft romper to keep your little one toasty warm this winter! The body features Baby Smiles Lenja Soft with a cuddly texture reminiscent of terry cloth but so much softer and very easy care. The cuffs are knit with either Baby Smiles Merino Mix, Baby Smiles Bravo Baby 135, or Baby Smiles Super Soft for extra snugness. All Baby Smiles yarns are very soft on your baby’s skin, chemical free and easy care. In 4 sizes to fit 3 to 12 months old.